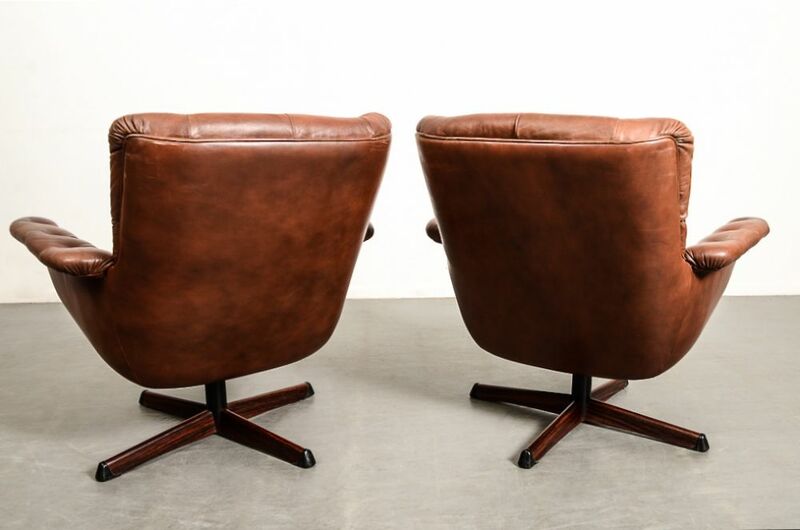 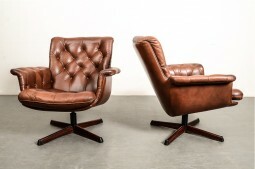 These are a very comfortable and good looking pair of swivel armchairs made in the 1970s. 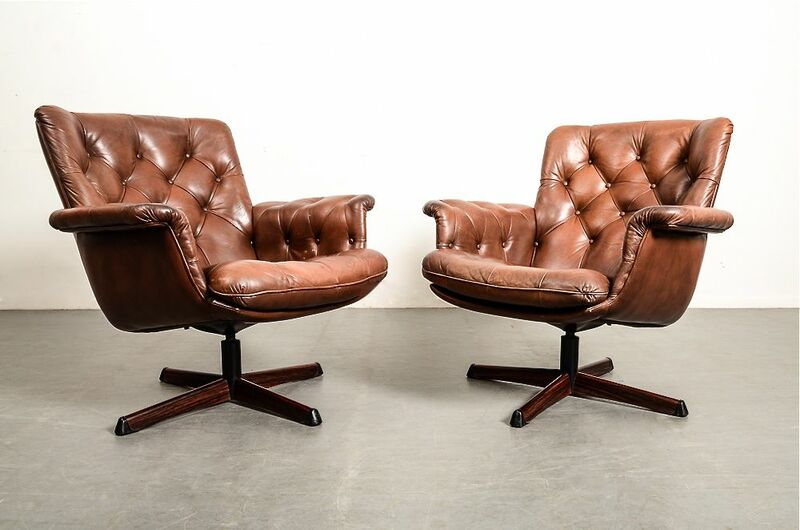 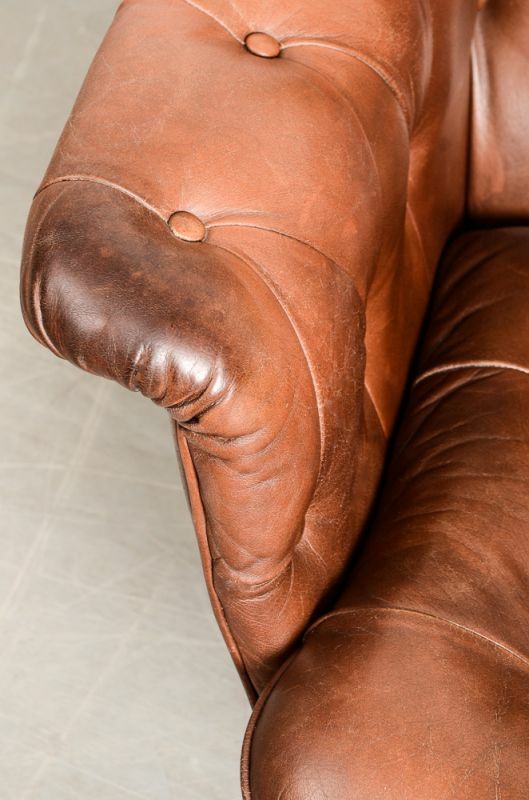 The chairs are covered in good quality mid tan/brown coloured leather, and sit on four star steel bases with rosewood decoration. They are in very good condition with rich patination and character, conducive to their age. The measurements of one of the chairs is inches wide, inches deep, inches high.